The thing about writing about bands for a long time is that people start to catch on to what you like. I was pleased to receive word that the Los Angeles based record label run by Rob Campanella of The Brian Jonestown Massacre, The Committee to Keep Music Evil is releasing a new physical album this fall. 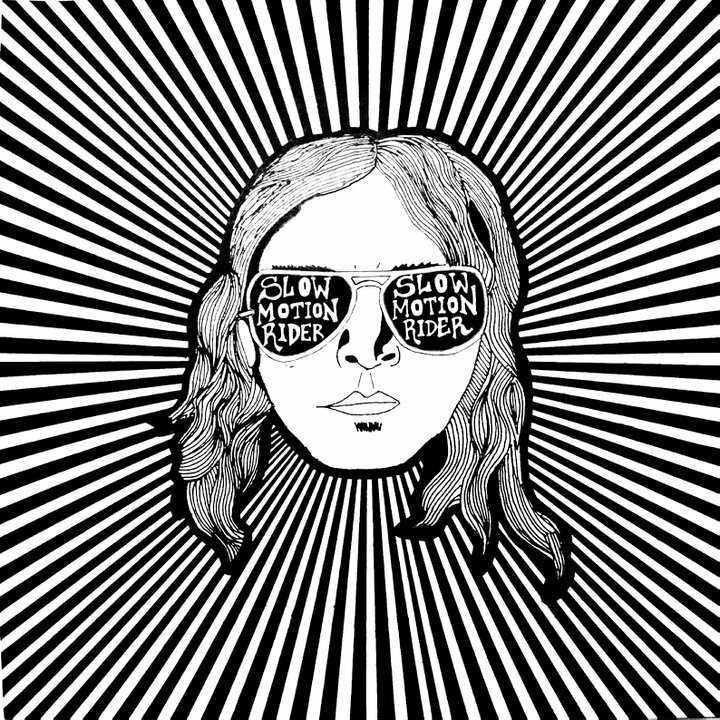 Slow Motion Rider is a loud, penetrating psych band that grinds its heels in on the edge of sludgy stoner rock, but also manages to keep your head in the clouds with ringing guitar riffs sailing over an eerie atmospheric sound. The driving bass tones will remind you a bit of Black Rebel Motorcycle Club, and the vocal style weaves in and out of their pulsing psych music, smoothly, as if in slow motion. Slow Motion Rider is not only a creative band name, but it appropriately describes the band’s sound. Their new self-titled debut album has a way of taking you on a ride that makes you feel like you’re floating through an alternate psych reality with a palm gripped around the ends of your hair. Nonetheless, this new album does not pull and yank you to and fro…it more leads and guides you forward. I mean, you don’t have to take my word for it. You can listen to the full album below via Soundcloud. You can also purchase a physical copy of the record via The Committee to Keep Music Evil, as the album will be distributed internationally this September.